ONE passenger decided to air their dirty laundry while on a flight - literally. A passenger was caught using the back of three seats to dry three different swimsuits while on what appears to be a GOL airlines flight, Fox News reported. 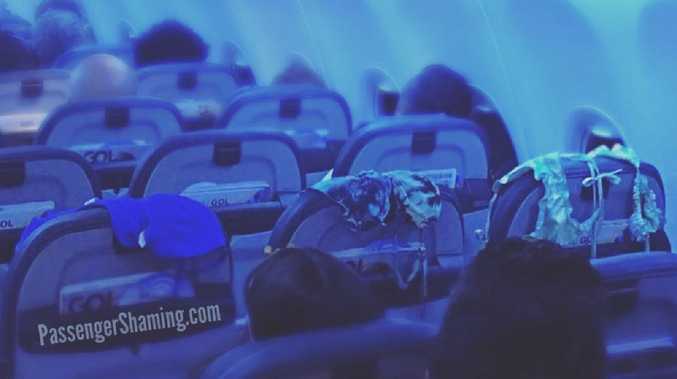 The photo was snapped by another passenger on the Brazilian airline and sent to the popular Instagram page, Passenger Shaming, where it was posted earlier this week. "PRO TRAVEL TIP: If you have a wet bathing suit, or three - AIRPLANE HEADREST DRYER," the Instagram caption joked. The photo quickly gathered nearly 3000 likes and dozens of comments from people outraged by the person's behaviour. "I would so take these down..." one person wrote. "There's a thing called a large Ziplock baggie and it miraculously holds wet bathing suits in your luggage ~ !!! Imagine that ~ !!!" another commented. "What a great idea.. said no one ever," another quipped. "Disgusting make sure you bring wet ones so you can clean off your seat before you sit in it," another user wrote on Instagram. One person suggested the air dryer might have been using seats that were not occupied by other guests. "It's a pretty empty flight. Looks like no one sitting in the row being used for laundry," they wrote. It was not reported where the flight was headed - or if the person responsible for the swimwear had purchased all three seats. This passenger is not be the first to be called out for the unusual drying method, however. In February last year, a woman was caught - and shamed for - drying her underwear with the plane's overhead vent. 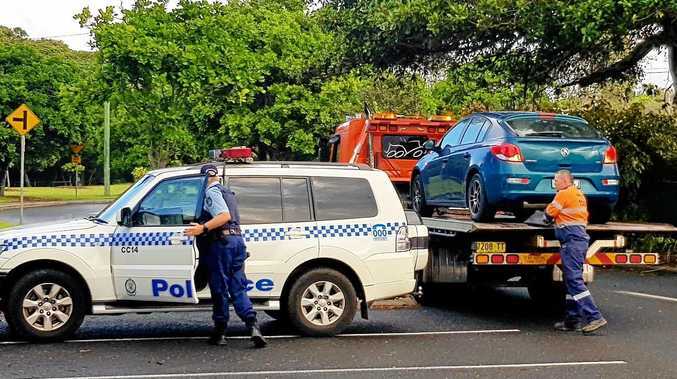 News A MIDDLE aged woman has been allegedly assaulted in her own vehicle during an attempted carjacking in Coffs Harbour.